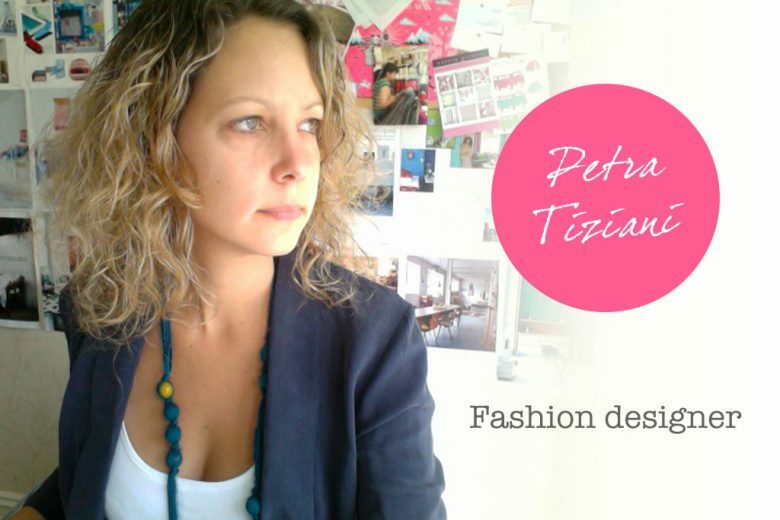 Producer and fashion-lover Petra Tiziani was inspired to design maternity wear after her friends struggled to find stylish and flattering clothes in their pregnancies. She also hopes to build a career that will enable her to work around her children when she starts her own family. After studying business and finance and later fashion design, I started my career as a stylist and production assistant for a video production company. I made films to promote holiday resorts and show flats around Europe, which I absolutely loved. It was great to be able to be creative but still use my practical business skills, which then allowed me to work my way up to head of production and finally general manager for a huge content distributor in London. In 2008 they sold the company and so I decided to set up a limited company and go it alone for the first time. Now I predominantly work freelance as a senior producer creating online content for a variety of big brand agencies and direct clients, still applying those same business and creative initial skills from all those years ago. Most recently I was part of a huge online campaign for Adidas Producing for TBWA, which won five Gold Awards at the Creative Circle Awards including the Gold of Golds (you can see the film here). How do you think your career will change after having children? Actually that’s a really interesting question because it was the initial trying for children that led to making a future plan and to launch of start of Monmum. As a producer I always have to think and plan ahead for all eventualities and it’s this natural instinct in me that led to thoughts of what I wanted to be doing after having kids. I also have a lot of friends with kids and am a godmother twice over so am surrounded by many friends going through pregnancy or with small children. As a stylist I keep being called upon by these same friends for fashion advice, especially throughout their pregnancy. One of my best friends even got married when she was seven months pregnant and we spent a good week looking around Europe for a suitable dress. Believe it or not she actually got married in a black mesh Missoni dress that we bought in Spain. She looked absolutely stunning. What inspired you to start designing maternity wear? Again this was sparked by the same reasons as trying to help friends find suitable clothes for various events while having a bump to contend with. It can be really hard to cope with all the body’s changes and still feel confident yet comfortable in what you are wearing. Starting the Monmum blog I found it hard to find brands that I actually fell in love with and wanted to share on the site with honest enthusiasm. The more I looked around for fun, edgy or event appropriate maternity wear the harder it became to find brands that I really wanted to recommend to my friends. I started to talk to everyone I knew to find out what was really lacking for them when it came to maternity wear and there were three things that really stood out; Variety and individuality, ‘stylish nursing tops and some good quality maternity leggings. I think the brands out there just seem to play it a bit safe in what they offer and I guess because it’s such a fast market (being pregnant for only nine months) it’s easy to see why this would be the case. Bored of seeing the same blue and white striped dresses on every shelf plus the disgruntled look on my friends faces, I got to work on designing something with personality and flexibility. Who or what is your design inspiration? I remember when I studied fashion there was a project rule that your collections needed to be inspired by three different things merged into one and actually, the more I design now the more this can work really well. I think you if you look around, you can actually find inspiration everywhere but where I put the focus for my Monmum Hoyden Pop Collection is colour, comfort and confidence. I want my clothes to make people feel happy and inspired no matter what stage of pregnancy they are at. My designs are easy to wear, and offer flexibility weather you are going to a business meeting or picking up your kids from nursery. I have also designed the collection to have longevity. I think we are living in a time where it’s more about investment pieces that can be worn pre, during and post pregnancy so I have also looked at non-maternity brands for flexible shapes that could be worn if pregnant. The Hoyden Pop Collection itself is inspired by bright nail colour and nail art designs, Sophia Webster’s amazing shoe designs, pop art, 50s prints and my very own sense of humour. Plus all my family and friends and their friends and their friends, friends and me and you…! It might seem like a big target, but when I was a child my ambition was to own Harrods so I think I’ve always had big dreams and ideas. What challenges do you face establishing your business? It’s still very early days for me and the business and so I am very much still working on the business plan for the next stages. I have a lot to do and a lot to still learn about the business but am excited about where I’ve got to and what’s next. I’d say that as well as the obvious finance required when starting up, you really also need support from people who have been through the highs and lows of retail before and a have better knowledge and understanding for is what is needed to be successful in this industry. I have recently applied to win £10,000 plus a yearlong mentorship being offered by Women in Making and Triumph. I think what they are offering is absolutely amazing and could really help anyone looking to get their creative start up off the ground and a much needed foot in the door. Please take a look at the competition and if you like what you see then I’d be delighted to receive your vote and your support. And what advantages do you have? I think to successfully run your own business you need to be determined and dedicate and have the strength to keep going when things get tough. As well as having a definite ‘determined streak’ I think I learnt the art of entrepreneurial spirit from my mother. She brought up my sister and me as a single parent, all the while running a successful language school for 11 years. She now runs a successful coaching and consulting business with multiple arms, writes books on coaching leaders in the workplace and still manages to be a fun-loving partner, a mother and a great friend without breaking a sweat (well mostly). My family mean so much to me and knowing that they are behind me is exactly what I need to believe in myself and what I want to achieve. I also have the benefit of being surrounded by incredibly knowledgeable and entrepreneurial friends, including my own partner, who run their own successful businesses. Learning from them every day is incredibly powerful, plus you get to see firsthand that you need to love what you do and really want to live it, because it’s a day to day part of you for as long as you’re doing it. Where would you like to see your business in five years? I want my designs to be the next big thing and I really do believe that maternity wear has the potential to become a huge Industry. Isabella Oliver secured a £1.4million growth investment at the end of last year, and many high street fashion retailers such as River Island, Next and Zara are now slowly moving into maternity wear. But apart from the odd nursing bra, Topshop, ASOS and a smattering of maternity shirts, I have yet to see this growth of maternity wear on many of the big player sites and that would be a growth step I’d love to be a part of. What advice do you have for other ambitious women? Don’t be scared to start and ask for advice. You’ll be surprised how much support is actually out there and how the honesty of your friends and family is exactly what you need to help modify and improve your business. Be sure you want to do it and that it’s something that you love. Go into business with your eyes open and your heart fully convinced. I had a lot of other ideas that I started, pottered about with and mostly talked about, but it wasn’t until I launched Monmum and began work on the Hoyden Pop Collection that I knew I had hit on the right one. Other than that – just do it! You can learn more about Petra on her blog, Monmum, and vote for her in the Women in Making and Triumph competition here.